Our collection also includes elk hides. The elk hides are locally sourced from hunters hunting in the northern regions of Finland and Sweden. 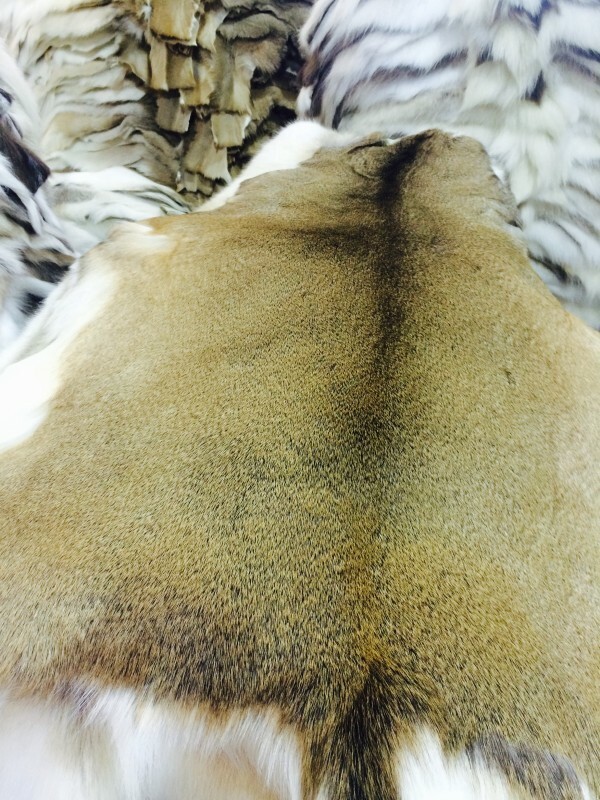 Elk leather is also used for the making of other leather products. Scandinavian white-tailed hides complete our collection of hides. These deer hides are also ideal for smaller spaces as interior design features and seat cushions. Each hide has been hand finished through dozens of different work stages. The hide and leather of the Scandinavian white-tailed deer can be used in the same way as the hide and leather of reindeer and elk. The short-haired hide is also perfectly suited for use in a number of accessories, gloves, handbags, or it can be used as décor. The fur of the Scandinavian white-tailed deer has a fantastic shine and the back section is decorated with a natural dark stripe that emphasises the impact of the hide.